(primary school teacher and accountant economist). According to the order of the Ministry of Education and Science of the Kyrgyz Republic number 487/1 of 07.08.2008, the Jalal-Abad Industrial Pedagogical College was transformed into the Jalal-Abad College at Zhagu. Jalal-Abad College (JAC) was established and operates at Jalal-Abad State University. The founder is ZHAGU. The founder’s powers are exercised by the Ministry of Education and Science of the Kyrgyz Republic. JAK is a state non-profit educational organization of secondary vocational education. Since January 2004, Klara Temirkulova , Senior Lecturer at the Department of Physics, has been heading. 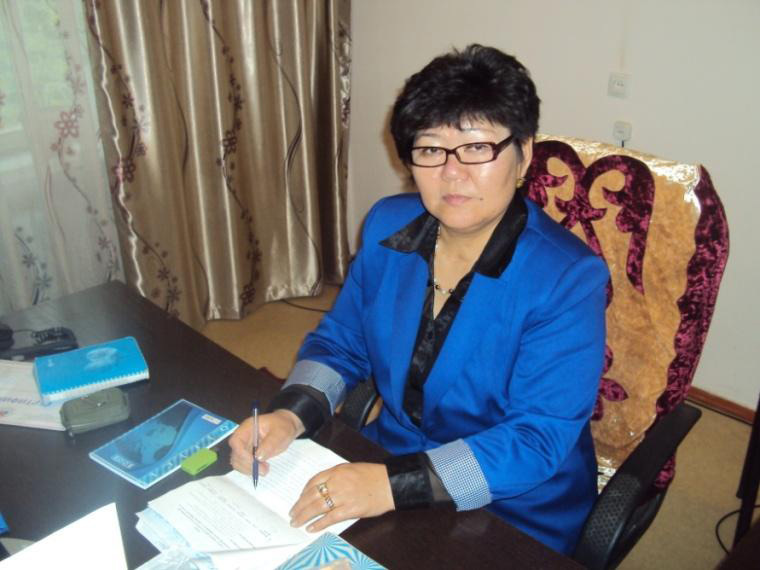 From May 2004 to May 2011, she was headed by the “ outstanding public education student” senior teacherMatanbaeva Zymyrat Erkulovna , and made a huge contribution to the development and expansion of the college contingent. From May 17, 2011, Candidate of Chemical Sciences, Associate Professor Adysheva Azizbu Adyshevna was appointed Director, and worked successfully until September 2013. From 2013 to today, he is headed by Candidate of Pedagogical Sciences, Associate Professor Turdubaeva Baris Mailevna. Preparation of competitive, competent, actively participating in public processes of the republic and the region, striving for leadership, personnel with high quality of secondary specialized education. Jalal-Abad College strives to create wide opportunities for modern education, creates and implements educational programs, improves new technologies, developing and introducing computer technologies and AVN programs in the educational process. The main task of the educational process of the college at the present stage is to train specialists who are capable of reacting in a non-standard, flexible and timely manner to the changes that are occurring in the world. Therefore, to prepare students for professional activities at the university and college, various innovative teaching methods are used. Development of a quality management system for education. The introduction of practice-oriented forms of education. Improving the automated learning management system. Advanced training of the teaching staff of the college. The organization of scientific work of teachers and students. Ensuring the full development of students. Monitoring and evaluation of educational activities of the college. Implementation of the plan for the recruitment and employment of graduates. Improving the material and technical base. Expansion of the network of social partners. Professional values ​​- competitiveness, professionalism, competence, responsibility, interest in the profession. Personal values ​​- individuality, uniqueness and originality, freedom, creativity, morality, social activity. Our team works on the principles of mutual respect and support of each other. Each teacher’s original creative ideas are valuable. There are national trainers in the team. The instructors are the mentors of the students. 3 Deputy Director of Statelanguage and educational work 1,00 Budget Nazarov J. 11 Head of Department 1,00 budget Umarov A. 14 Industrial Training Master 1,00 budget Level B. 16 Software Engineer 1,00 the contract Malashev G.
17 Clerk 1,00 budget Kany M.
18 Laboratory assistant 1,00 budget Raeva G.
21 Laboratory assistant 1,00 the contract Aidarbekova A. 23 Laboratory assistant 1,00 the contract Zamirbekova E.
26 Inspector of methodical work 1,0 budget Tashmatovna. The college has 230 teachers, including 201 full-time, 29 part-time workers. Also 1 associate professor (c.n. ), 12 masters, the rest teachers. Jalal-Abad College systematically organizes professional development courses for faculty members. In order to improve the skills of teachers in the field, seminars and trainings on various topics are organized. Seminars are conducted by the college coaches. The college employs 10 national and 2 international coaches. They work in various international educational programs. Seminars, trainings are also organized in order to study the best practices among teachers of mentors. Every year among the colleges of ZHAGU a competition “Best teacher” is organized. Every year, teachers of our college take 1st or 2nd place. To date, more than 3,000 students are trained and educated at Jalal-Abad College. The number of students is increasing every year and the regional scale of students is expanding. For training students from distant regions and those in need, proverbs are provided. Students participate in various sports, extracurricular events and subject Olympiads. Students of our college 4 years in a row ranked first in the Republican Olympics among colleges. And in regional competitions constantly occupy 1 place. 2. Circle “1 C Accounting”, the head – Akmatalieva S.
3. Circle “Altyn Kapchik”, head – Kadyrova E.
4. “Macrame” head Aldosova B. 5. “Children’s Song” rukovoditel Orunbaev K.
6. “Copper” small rukovoditel J. M.
Jalal-Abad College works closely with all secondary specialized vocational schools of the Kyrgyz Republic. Between SPUZs there is an exchange of experiences of teachers and students, which contributes to the active development of the creative potential of the college. College students have internships in many organizations, public institutions, schools, as well as in private enterprises of the city of Jalal-Abad and Jalal-Abad region. Jalal-Abad College uses the advanced experience of these enterprises for high-quality professional training of mid-level specialists. Practical agreements have been drawn up with basic organizations. During the period of practical training, three conferences are organized (pre-practice, reflection, reporting). According to the results of the practice, a contest “Best trainee” is organized among student trainees. READ- “Assessment to improve the quality of knowledge” – books for 57 000 soms. 2,000 euros for the creation of a laboratory in natural science disciplines. The project on multilingual – 1kabinet, 1 center. GIZ German partnership project – books and manuals for the specialty “Primary school teacher” for 190,000 soms. Laboratory equipment worth 13 million soms is expected for the chosen specialties. All students of Zhak use the opportunities provided by them in college. Dozens of various circles and clubs of interest have been created and successfully operate here. Sports halls, electronic libraries, INTERNET clubs, entertainment centers, music and dance groups, amateur art centers, creative clubs are just a few of such groups, among which everyone can find something corresponding to his interests. These classes help young people to improve, develop, make students’ leisure time diverse and interesting. More often cultural life attracts elementary students. Every year the KVN team of our college is gaining new talents and actively participates in all cultural events of the college, university and city. A special position among young people is occupied by all sorts of contests among college departments. Every year, teachers and students in all competitions occupy prizes held among the faculties and colleges of Jalal-Abad University (“Yr Kesa”, “Sarmerden”, “Kosh zhyldyz”, “Miss ZHAGU”, “Miss City”, “Mykty Myrza” , “Tama Show”, etc.). Student Olympiads among colleges at Zhagu and Zhak are regularly held in first place. As practice shows, the leisure of JACLE students is diverse. The choice depends on the interests and needs of our students. The sports ground has been updated and equipped with sports equipment. A repair shop for passenger cars for the specialty MROAT has been built. A workshop on technology was acquired. The college has five computer classes, 2 interactive whiteboards, 25 projectors, 45 personal computers. There is video surveillance of all classrooms and corridors.